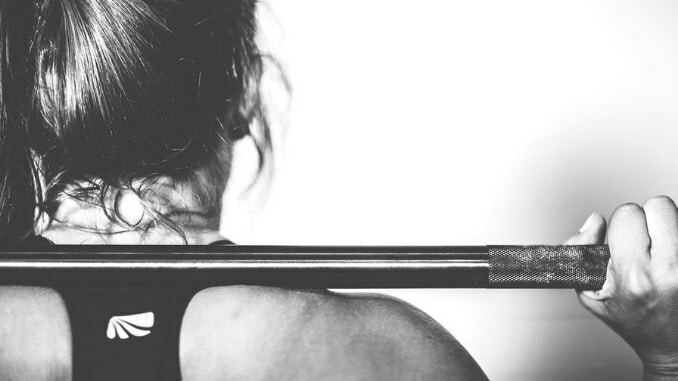 Women are increasingly catching on to the benefits of strength training and for good reason. Studies show that regular strength training, particularly after the age of 40, has a number of health benefits for the body and mind. Not only can women maintain and build muscle, but they can also help keep blood sugar levels under control, prevent age-related bone loss and decrease stress and anxiety. If you haven’t gotten started on your own strength-training program yet, or if you’d like some ideas on how to best strengthen your upper body, we have 10 of the best upper body exercises below. What Are the Benefits of Strength Training for Women Age 40 and Older? Counteracts age-related muscle loss: As we age, we naturally tend to lose muscle, unless we do something about it. According to a 2012 study, inactive adults experience a 3 to 8 percent loss of muscle mass per decade, and this is accompanied by a reduction in metabolic rate, which means you burn fewer calories at rest. That, in turn, is also accompanied by an increase in fat. Just 10 weeks of resistance training, on the other hand, can increase the resting metabolic rate by 7 percent and reduce fat weight by nearly four pounds. 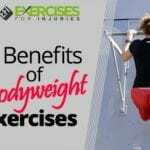 Reduces risk of type 2 diabetes: Because strength training decreases visceral fat, helps control blood sugar levels and improves insulin sensitivity, it can help decrease the risk of type 2 diabetes. Enhances cardiovascular health: Strength training reduces resting blood pressure and decreases artery-clogging cholesterol. 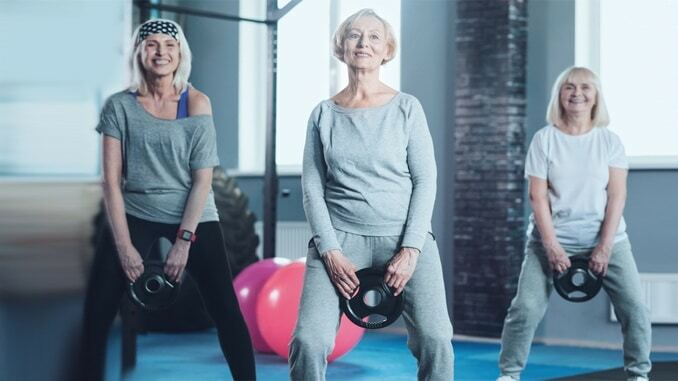 Protects bones: Studies show that when you regularly engage in strength training, you protect your bones from age-related thinning, and you can even increase bone mineral density. Prevents belly fat: Abdominal fat is considered the most dangerous kind when it comes to your health. Strength training was found in one study to be even more effective than aerobic exercise when it comes to preventing the buildup of abdominal fat. Helps prevent falls: Falls become a dangerous health risk as we age. Staying strong helps improve movement, balance, and coordination, which can help prevent falls. Boosts mood: Research shows that strength training can help improve symptoms of depression and anxiety, both because of the increased endorphins and because of an increased feeling of confidence and capability. Protects the brain: Strength training has been found to improve brainpower no matter what your age and to help protect older adults from cognitive decline. Improved body image: Strength training can impact your body’s appearance even more than aerobic exercise. Research on middle-aged and older women showed that consistent strength training helped improve body image and perceived physical appearance. Lengthens life: Some studies have found that strength training may help you live longer. In one 2015 study, researchers found that grip strength could predict death from any cause. Don’t skip your warm up. It’s even more important as you get older to get your blood pumping before you challenge your muscles too much. If you’re feeling stiff, add a few more minutes to protect yourself from injury. 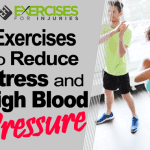 Use joint-friendly exercises: We like to think we’re invincible, but you want to look ahead to the decades in front of you and take precautions now to protect your joints. Women age 40 and older should stick with dumbbell exercises, cable machines, bodyweight exercise, and suspension trainer exercises. Use a neutral grip: A neutral grip means your palms are facing each other. This can protect your shoulders when pressing a dumbbell overhead, for example. Always use proper form: It’s tempting sometimes to hurry through your workout, but that can lead to injuries. Take your time, make every rep count and make sure you have a mirror nearby to check your form. Finish feeling strong: It’s important not to push yourself too hard at one session. Recovery takes longer when you get older, so don’t exhaust yourself. Go until you’re tired but still feeling strong. Listen to your body: This may be the most important thing of all. If something hurts, adjust so that it doesn’t or try another exercise. 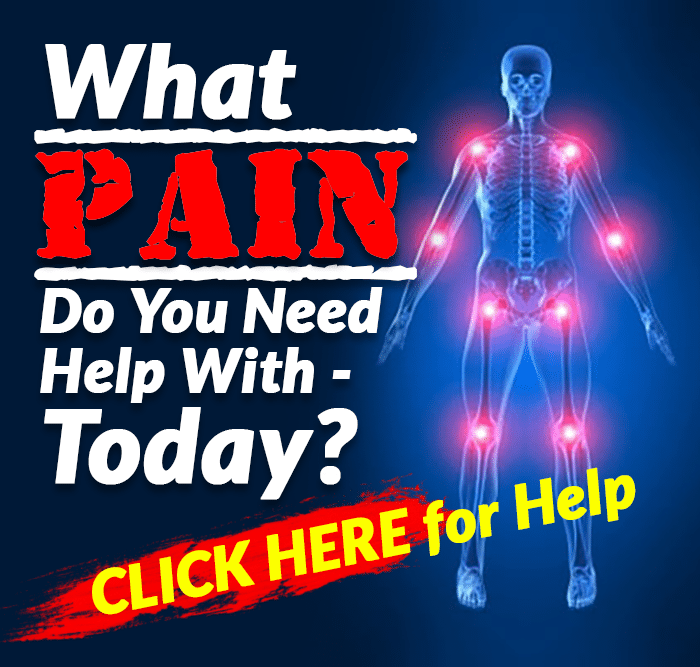 Pushing through the pain is likely to leave you injured and sidelined. 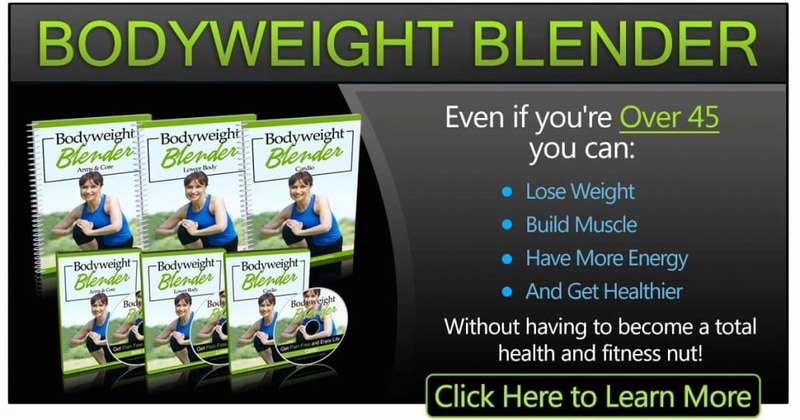 Below are 10 exercises that work your upper body and are ideal for women age 40 and older. Push-ups are a great upper body exercise for many reasons. You can do them anywhere, they don’t require any equipment, and they work not only your arms, shoulders, and chest muscles, but they also help strengthen your abdominals. Push-ups also work the hips and legs. An extra benefit is that push-ups mimic your natural reaction when you fall, so they can teach you to react if you stumble quickly. After the age of 40, you may have some shoulder pain, so it’s important to follow proper form on your push-ups. Begin in full plank position with palms at and just below shoulder level, feet about 12 inches apart. Keep your back straight, and then lower your body until your elbows are at 90 degrees and push back up. Take about two seconds to go down and one to go back up. Keep the movement controlled — that’s more important than speed or quantity. If this is too difficult, rest on your knees instead of your toes while doing your push-ups until you get stronger. You can vary this exercise by turning it into a plank. With your body in push-up position, rest on your forearms with your elbows at a 90-degree angle. Keeping your chest and hips from sagging, hold the posture for at least 15 seconds. Add more time as you get stronger. This exercise works your shoulders and upper traps with less risk for shoulder pain than an overhead press. Grab two dumbbells at whatever weight you’re comfortable with, stand straight and lift the weights straight out in front of you until they reach shoulder height — no higher. Keep your back straight and tighten your abdominals as you lift. Lower down to your sides slowly and repeat up to 12 times. You can vary this to work on your biceps by bending your elbows and bringing the dumbbells up in front of your chest, but not all the way to your shoulders. Keep your wrists aligned with the top of your forearms. Lower back down slowly and repeat. Holding a pair of dumbbells, place your shoulder blades and head on top of an exercise ball, your feet on the floor and knees bent at a 90-degree angle so that your body forms a tabletop shape. Raise the dumbbells together straight above your chest, palms facing in, then slowly lower the arms out to your sides with elbows slightly bent, until your elbows are at chest level. Using your chest muscles, bring your hands back together and raise the dumbbells again and repeat. You can vary this one to work your triceps by turning over and placing your chest on the ball with your arms alongside and your legs straight behind you, balancing on your toes. With your head in line with the spine, pull your arms straight next to your body, then press the dumbbells back even farther while keeping the arms straight, squeezing the triceps. If you don’t have a ball, you can lie down on a bench or stand with your feet staggered and your body hinged forward. This exercise helps strengthen your arms, back, and core muscles. Holding dumbbells in your hands, place your legs together and sit back into a slight squat. Bring the arms up to hip height with palms facing the ceiling. Draw your elbows back past your hips as if you were rowing, keeping the arms hugging the body. Then, straighten the arms again to return to the forward position and repeat. This efficient exercise works your arms, shoulders, abdominals and more. Grip the pull-up bar with hands shoulder-width apart, with the palms facing you. Bend your knees, cross your legs, and pull yourself up, tightening your abs and pulling the shoulder blades back. If you can’t go all the way, go as far as you can and slowly lower back down. Kneel on a mat and hold a dumbbell in one hand. Keep your upper arm pressed to your side and curl the weight toward you until it comes close to your shoulder. Hold for a moment, then slowly return to starting position. Repeat, then switch to the other hand. You can make this a bit harder by standing up and holding the dumbbells at your sides. Curl them slowly, keeping your palms facing inward, until the head of the dumbbell nearly touches your shoulders, then lower down slowly and repeat. This exercise works all the muscles in your arms and is also a good warm-up exercise for other arm and chest moves since it heats up the body. Grab a dumbbell in each hand, and raise them so that they’re near your shoulders and the elbows sticking out to your sides. Then, punch one dumbbell at a time out in front of you by straightening the elbow. Alternate sides, punching one and then the other for one to two minutes. This is a great exercise for toning your arms and working your back muscles, shoulders, chest, biceps, and triceps. Grab one dumbbell in each hand, and squat down as low as you can while still keeping your back straight. Hold the dumbbells out straight in front of you with arms straight. Then, lift both arms slowly and take the dumbbells overhead, keeping the arms straight and the rest of your body in good squat form. Brings the arms back down and repeat. You can vary this one to work your chest and upper back muscles by bending over — instead of squatting — knees slightly bent, the dumbbells in your hands below you. Then, lift your arms to your sides rather than straight overhead until they’re even with your shoulders and lower down slowly. This exercise works your triceps and upper back muscles. Stand straight, and hold a dumbbell or kettlebell with both hands straight over your head. Slowly lower it down behind your head, bending your elbows, and then return to the original position. Repeat up to 15 times. This one works your shoulders and arms, along with your upper back. Take a long resistance band and step your feet into the center of it. Holding the ends or the handles with each of your hands, and keeping your shoulders back, raise your arms out to the side slowly until they are about at head height. Then, lower them back down slowly and repeat.